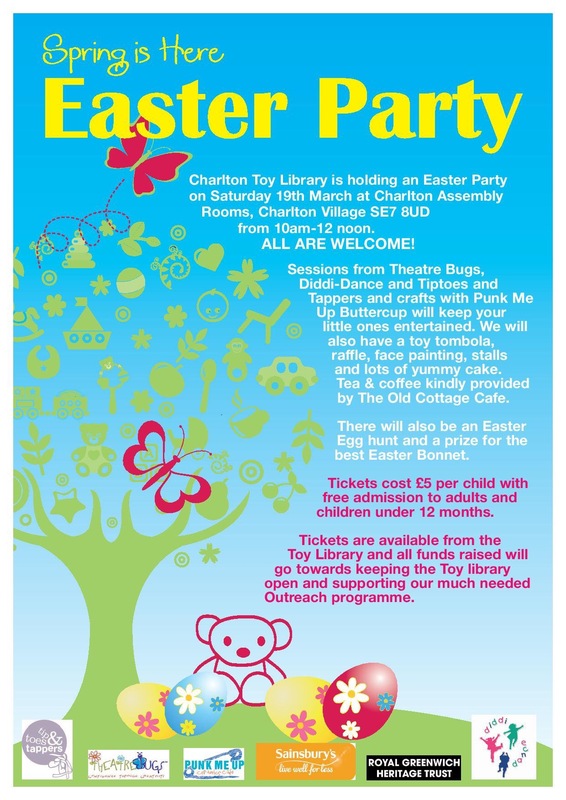 It’s Charlton Toy Library’s Easter Party on Saturday 19th March, 10-12am to 12 noon at Charlton Assembly Rooms. Tickets are £5 for children, with free admission to adults and children under 12 months. Tickets are available from the Toy Library, and will help to fund the Toy Library and their outreach programme.